A CAS (Chemical Abstracts Service) Registry Number is a unique identifier that tells you, for example, that acetone and dimethyl ketone are actually the same substance. From a safety and inventory perspective, this is a terrific idea. 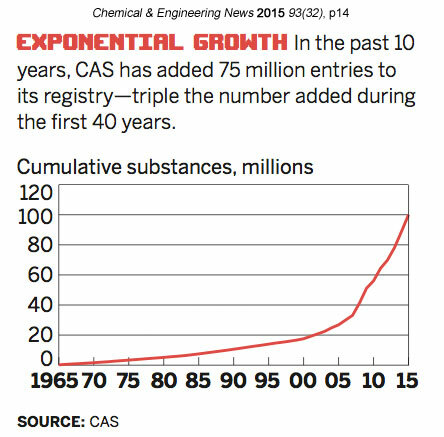 As of 2018, there were 137,000,000 unique chemical substances indexed by CAS as well as 67,000,000 protein and nucleic acid sequences. See https://www.cas.org/about/faqs for more info. The Chemical Abstracts Service, http://www.cas.org/, is a division of the American Chemical Society, https://www.acs.org/. Key point: CAS numbers identify the chemical, but not its concentration or specific mixture. For example, hydrogen chloride (HCl) has the CAS number 7647-01-0. That CAS number will appear on containers of anhydrous hydrogen chloride, a 20% solution of HCl in water, and a 2.0 molar solution of HCl in diethyl ether. The numbers you see on trucks on the highway are not CAS Numbers, but U.S. Department of Transportation (DOT) mandated UN/NA codes which are not necessarily specific to each chemical. Their aim is to assist emergency responders. To find out what's in that tanker truck, check out the interactive version of the Emergency Response Guidebook at http://wwwapps.tc.gc.ca/saf-sec-sur/3/erg-gmu/erg/ergmenu.aspxm. Once you know what chemical it is, you can look up the SDS. You can order a printed copy of the guidebook by following the appropriate link on http://phmsa.dot.gov/hazmat/library/erg. Great fun for the kids on those long trips! Prior to the implementation of the GHS (Globally Harmonized System of Classification and Labeling of Chemicals) in the US, the CAS number was not required information on an MSDS. Effective June 1, 2015 OSHA required that manufacturers and importers ship SDS's in the 16-part standardized GHS format that includes CAS numbers as a required element. Distributors had until Dec 1, 2015 to use up their existing inventory with the old MSDS and labels. What that means for your workplace is that you should regularly check your SDS collection to see if you have the latest version of each sheet. If yours is not up to date it's time to look for or request a new one. But see Can I throw away old or outdated MSDS's? before deciding what to do with the old one. Filing chemicals by CAS number is one way to avoid the problem of finding an SDS by name ("did I file that under dichloromethane or methylene chloride??"). Even if you have a computerized system you should include a field for CAS number because chemical names are often misspelled by non-chemists and spelling checkers do not handle technical terms very well. For more on chemical naming, see the IUPAC entry. Remember: CAS numbers uniquely identify a chemical, but not necessarily the manufacturer or concentration. Other identifying systems are discussed in their own SDS FAQ entry. CAS Content at the CAS web site. 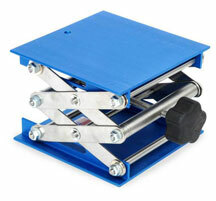 Visit our SDS Software or SDS Suppliers pages for systems that include the CAS Number as a searchable category. The National Institute of Standards (NIST) Chemistry WebBook is searchable by CAS number, but has only thermodynamic and spectroscopic data rather than safety data. WebElements has a page that explains how to use checksums to determine if a CAS number is valid. The OSHA Occupational Chemical Database is searchable by chemical name or CAS Number. See also: DOT, EINECS number, NSN and NIIN's, UN/NA numbers.